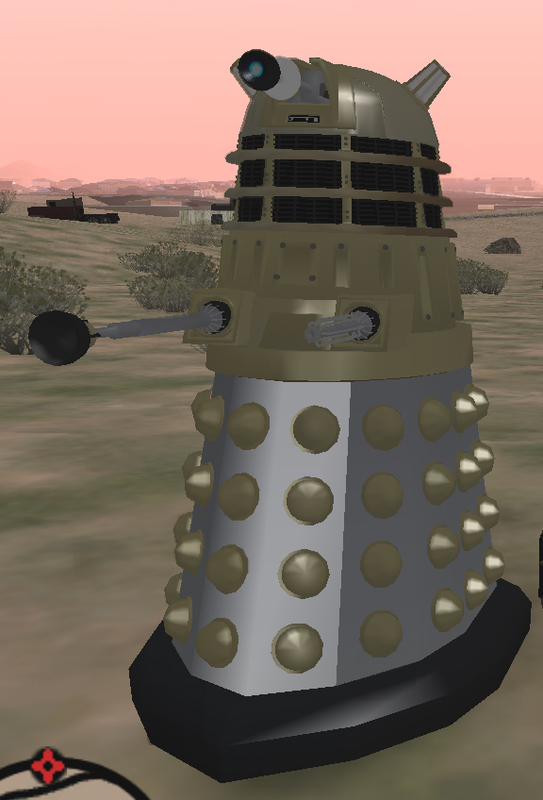 This mod replaces the hydra in GTA San Andreas with a Dr. Who 2005 series Dalek. The model was created by Rhys Salcombe then textured and converted to San Andreas by [DRuG]NikT. It is available in lightwave format from Lightwave Group's web. Also, please feel free to retexture this model... the different skins are gonna be fun, but remember this is not a freely modifyable model.. I gained written permission before release. Although I have never seen the show (but have always intended to), this model seems great, and i can see myself having heaps of fun "exterminating" San Andreas. What i meant to say, its brilliant!